Feel and look good while battling your nasty fungal nail infection! 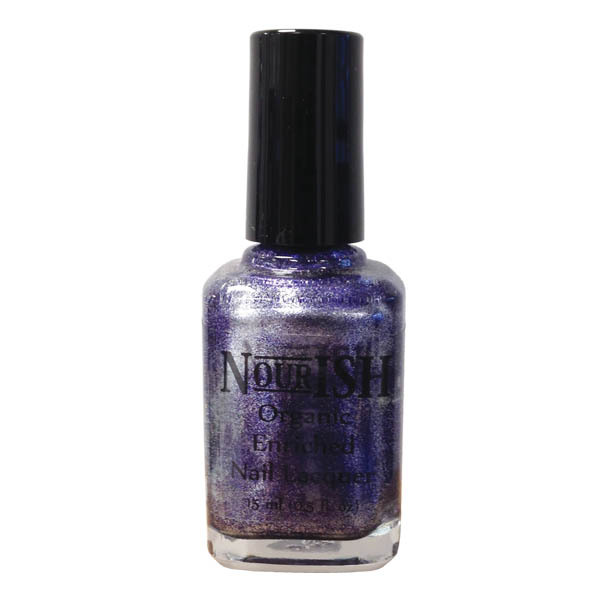 Nourish toxin free organic enriched nail polish has been formulated by podiatric physicians working with nail technicians, chemists and pharmacists to promote nail health and beauty. It is chip resistant, long lasting, comes in a variety of luxuriant colours and contains natural nail-nourishing Ingredients. Soy Protein - a superior source of gluten-free amino acids, the building blocks of healthy nails. Vitamins C and E - anti-oxidants that promote nail strength. Nourish polish also contains the nail-healthy essential oils of tea tree, lemongrass and thyme. For superior protection and a spa-quality manicure and pedicure appearance, apply one layer of the base coat, followed by two layers of your chosen luxury colour and finish with one layer of top coat. Please note that the base coat appears white in the bottle, but dries clear. It may be applied alone for men and women who do not want coloured nails, but who do want the benefits and protection nourish can provide along with an attractive clear-coat appearance. Nail Fungus is common, unsightly and difficult to treat. By chemically damaging and trapping moisture against the nail plate, many nail polishes are considered risk factors for nail fungal disease but nourish has removed the damaging toxic chemicals usually found in varnishes, replacing them with a trio of anti-fungal essential oils, as well as nail-healthy vitamins and soy protein.